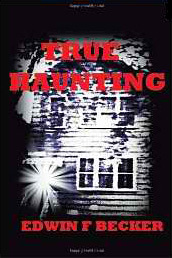 The paranormal disturbance is the number one issue I deal with on my website, IntoIntuition.com. Usually, in these cases, a spirit has become trapped and needs assistance crossing over into the Light. There are two categories of spiritual disturbance that I deal with. The first type of spirit includes angels, demons, aliens, and elementals. The second type of spirit, called “familiar spirits”, includes humans and animals. When a familiar spirit dies and fails to cross into the light, they are called a ghost. Once the decision is made to cross a ghost into the light, it is as if a mass invitation has been sent out to all of the ghosts within a hundred-mile radius who are in need of help. All of a sudden, the initial ghost is swarmed by these other ghosts. The other ghosts, called friendlies, mean no harm, they are just also looking for help. It is important to let these other ghosts cross over before helping the troubled ghost, that way you can focus all of your help and attention on the spirit who needs the extra push. Next, ask St. Gabriel, the Archangel to send down portals of Light. Visualize these in your mind’s eye as giant cylinders of Light, 8-12 feet across, extending from earth’s surface straight up into infinity. Ask your guardian angel to pray with you that all of the friendlies and the troubled ghost are able to cross over into the Light with protection, grace, and ease. It is important to set up these portals ahead of time because it can sometimes take days for all of the friendlies to cross over. Once all of the friendlies have moved on, you can focus on the troubled ghost. One of my favorite methods that I often teach my students is to visualize a bridge extending from earth into the heavens, and see the troubled ghost gently glide across as you pray for it. There is no right or wrong prayer to say, but there is none more powerful than the Lord’s Prayer (Our Father). A common mistake people make in the clearing process is forgetting to clear the friendlies ahead of time. This makes the process exponentially longer and can even prevent the clearing from being completed. Another error, in my opinion, is going to a medium to communicate directly with the troubled ghost. This is time-consuming, and usually expensive because the medium is the one trying to convince the ghost to go into the light, rather than leaving the process in God’s hands which is much quicker and more effective. Failing to be of the proper mindset and use protective measures when performing a clearing can be not only detrimental to the process, but also exponentially dangerous. One of the absolute worst mistakes one can make is doing a clearing without humility. You must be humbled by the knowledge that you are merely a tool in the process. God is the one performing the clearing, not you. Arrogance is dangerous and it hurts everyone involved. The most dangerous mistake a person can make is attempting a clearing by themselves. There is truly strength in numbers as quoted by Jesus in the Bible, “Where two or more are gathered in my name, there I am.” Dark forces always want to intervene and can fool even the most experienced exorcist when they are alone. When more than one person is praying, Jesus is present, keeping the dark away. Conduct Your Haunting Tours Safely! Most seasoned investigators know that these spirits or ghosts love to feed off of energy. Given access to electricity, they will flicker your lights, turn TV’s and radios on and off and play all kinds of tricks. When there is no power in a building, they go after the batteries. When we filmed our Paranormal Witness segment, we were in a sound proof studio and all went dark as the power went off. After 10 seconds the producer found the door and began throwing a fit, to which the studio manager assured him a power loss was impossible! The producer didn’t understand it…but I did. There was also a national news bit where they visited a haunted area and attempted a report in the daytime. As the reporter turned on her microphone, she was baffled because her battery pack was dead. She swore it was brand new! All this as we know is common. Here is the warning. When taking along an observer, or conducting a tour of a confirmed haunted location, all should be warned of this possibility. Many people have batteries that they depend on to live! Whether they have hearing aids, or more seriously, pacemakers or defibrillators, they can be at great risk. In some cases their lives depend on these devices. Don’t think it’s just old geezers like me, because the youngest person I know using a pacemaker is only 24. The person with the hearing aid will know and it will not be fatal, but the other devices will only become obvious when needed and that could cause a death. Imagine the energy that could be drawn from a pacemaker with a 10 year battery life! Be responsible. When conducting a tour, ask that question! Do not allow people whose life depends on a battery to participate even if they are dumb enough to try.